The History of Coworking is not a particularly long one, but it is an explosive one. 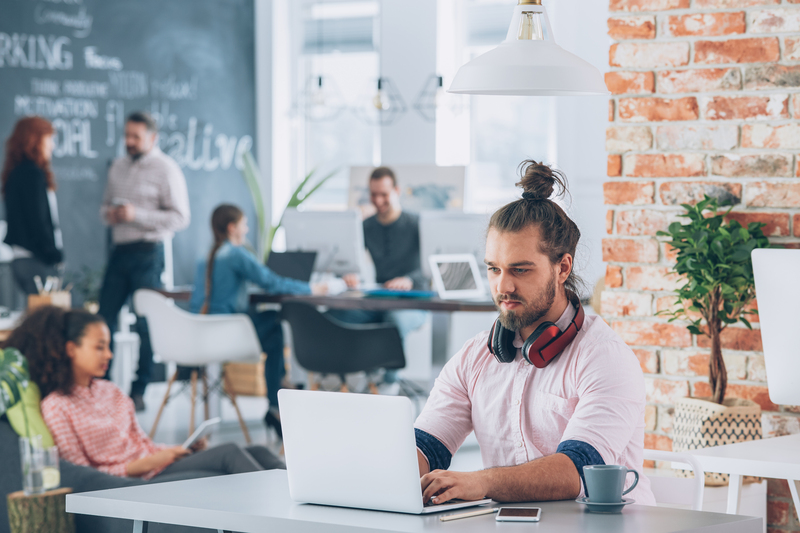 In a relatively minuscule length of time, coworking has gone from a part-time, small-scale venture to a global worldwide phenomenon. Today, we are nearing two million coworkers working from thousands of spaces all over the globe – spaces which were essentially unavailable less than twenty years ago. However quickly coworking has grown over the past few decades, the key values seem to have endured. Today coworking spaces run the whole gamut, from the small and the niche to the large and the expansive. Yet, there still remains a through-line that can be found in the emergence of coworking. Namely, a focus on providing community, productivity and an improved work-life to those who may otherwise have been isolated or struggling in dysfunctional ‘workspaces’. From the experimental workspaces of the nineties to the big name spaces of this decade, this innovative and forward-thinking through-line can be seen throughout the key moments in the short history of coworking. 1999 – 42 West 24, another precursor to the coworking spaces we know today, opens in New York City. The space is started by a software company and provides the impressive work environment and short-term flexible desk space we know of coworking today. However, the space places no emphasis on the community aspect of coworking, not focusing on networking or events. Despite this, 42 West 24 is still a huge breakthrough, with members still enjoying the appealing work environment and flexible desk space to this day. 2005 – On August 9th, Brad Neuberg sets up the first-ever official coworking space, San Francisco Coworking Space, at a feminist collective called Spiral Muse in the Mission district of San Francisco. The space is intended to maintain the freedom of working independently whilst providing the structure and community of working with others. Neuberg has to pay $300 (£230) a month to use the space for two days a week. For the first month, no one turns up. After more outreach from Neuberg, an athlete and startup developer named Ray Baxter arrives, becoming the spaces first member and in turn the world’s first official coworker. 2006 – After a year, the San Francisco Coworking Space closes and is replaced by the Hat Factory. This is of real significance, as Neuberg, working with around ten others, including Chris Messina and Tara Hunt, creates the first full-time workspace referred to as a ‘coworking space’. 2006 – Chris Messina, the inventor of the Twitter hashtag, sets up an open source online resource called The Coworking Wiki. This helps coworkers around the world connect and find coworking spaces in new cities, whilst also helping coworking spaces get their name out. 2011 – Hera Hub is founded. Felena Hanson sets up the coworking space and business accelerator to focus on and specifically help support female freelancers and businesses. She aims to have a less male-focused workspace where women can innovate, collaborate and develop ideas. 2016 – In September, HSBC moves 300 of its staff into coworking space. This is one of many examples of large corporations choosing the new workspaces over leased offices. KPMG sends many of its employees to work in coworking spaces in London and New York. In recent times Microsoft and IBM have also chosen to have some of their employees work from coworking spaces. This trend of large corporations choosing coworking spaces is forecast to continue growing. 2018 – After attaining its 50th location in New York City, WeWork is now the second-biggest private office tenant in Manhattan. The company expects to take over JP Morgan Chase, the largest private office tenant, estimating a further 750,000 square feet of office space in NYC predicted for the year. The company are valuated at over £15 billion pounds, with 250,000 members in 431 offices across 80 cities.